After the whirling of the feasts, time for a little break. And I think I really need it. My children and grand children who came for the Christmas holidays left, except one son who is staying another ten days. It's nice not to have the house empty all of a sudden. I will start my new quilting projects after his departure. Resting means reading to me. I read those two wonderful english books : "Wish her Safe at Home" of Rachel Waring in a French translation and "The Color of Milk" of Nell Leyshon in the original langage. I love English literature, ancient and contemporary. The second book is my favorite. It's a long time I haven't read such an impressive story and I recommend it to everybody. It was a nice surprise to "fall" on such a good book as I bought it for the cover page, I loved the picture! 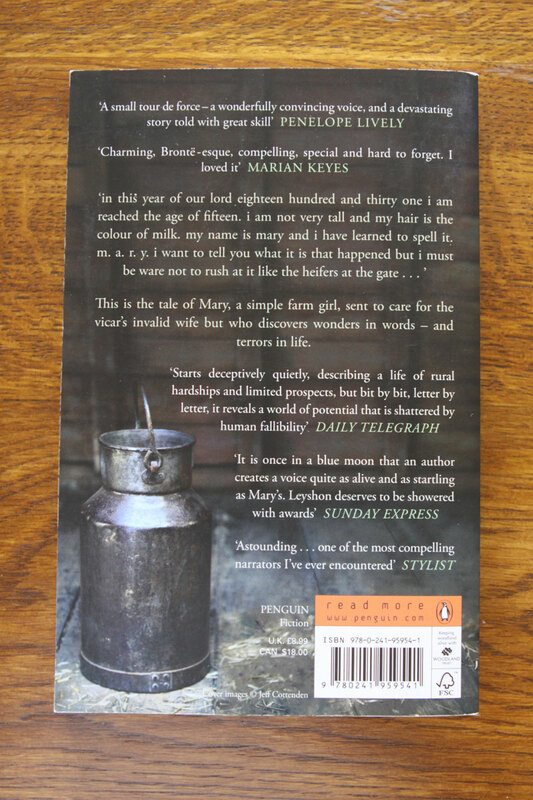 You can see what it is about on the back of the book. Really one of the best books I read recently! I will keep my eye open for this one...sounds good! Love your photography this morning! Just lovely!! So beautiful views of the winter on your mountain...It's very romantic and the books seem to be very nice .a I hope to read them soon...Happy Sunday ! 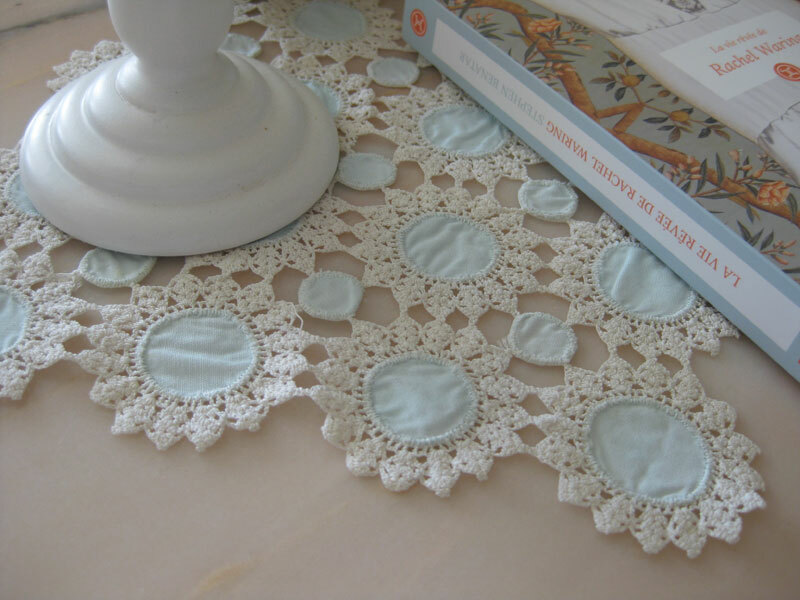 Oh, j'aime tes petites dentelles fait au crochet. C'est toi qui les as fait? Les cercles bleus ajoutent une touche toute en douceur. J'aime beaucoup. Je demanderais à ma librairie si elle a ce livre en stock. Il m'intéresse beaucoup. Merci de partager. Je ne connaissais pas les livres mais je vais me renseigner ! Merci Christine ! PS : a t'il vraiment neigé à Athènes ??? Bonjour, Christine! Le style de la 4e de couverture de "the colour of milk" m'a rappelée un livre que j'avais lu : "These is my Words" par Nancy Turner; qui a deux suites par ailleurs. Merci pour la suggestion, je pense que je vais me laisser tenter! 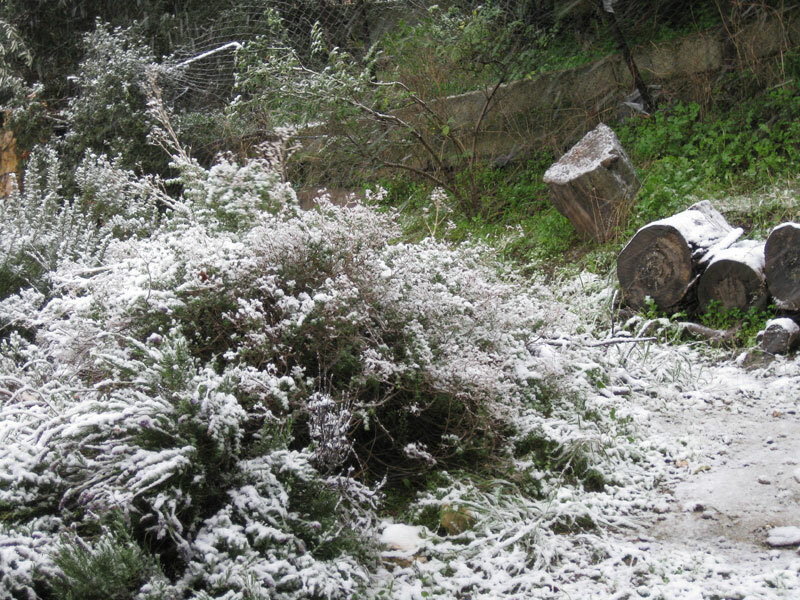 Mais oui Helen et Cecile, il neige tous les hivers a Athènes! I like Nancy Turner but did not read this book... another one to buy! Sadly, my local library doesn't have this book. Looks like a good one! I love a good book recommendation! Thanks so much, I'll be adding it to my list. Really? 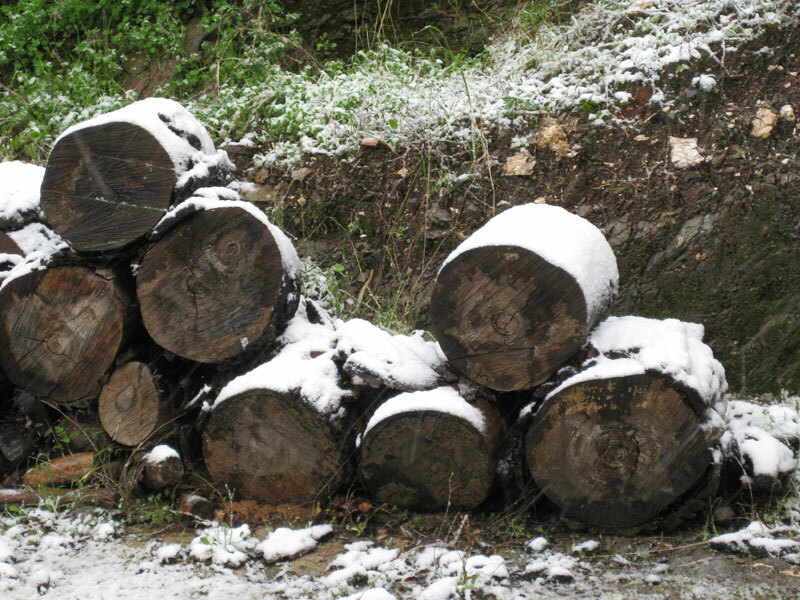 Has it been snowing in Greece? 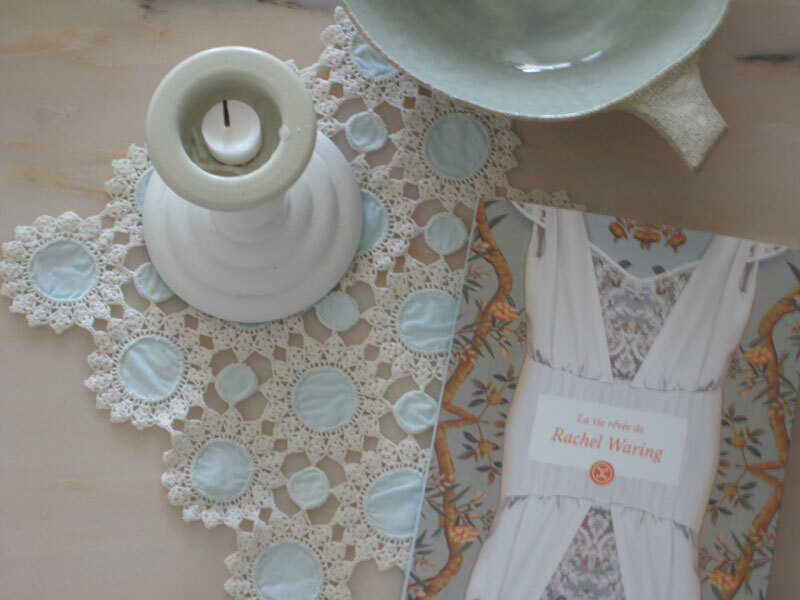 Your crocheted doilies and table settings are beautiful. Thank you for the book recommendation. I can always use a good read! Such pretty photos! I love the first one with the flowers and snow in the background. Do you normally get snow? I ask because here in the states several places that don't usually get snow have this winter. I will check this book out, I am always on the look out for a good read. Enjoy your time with your son, family time is so precious. 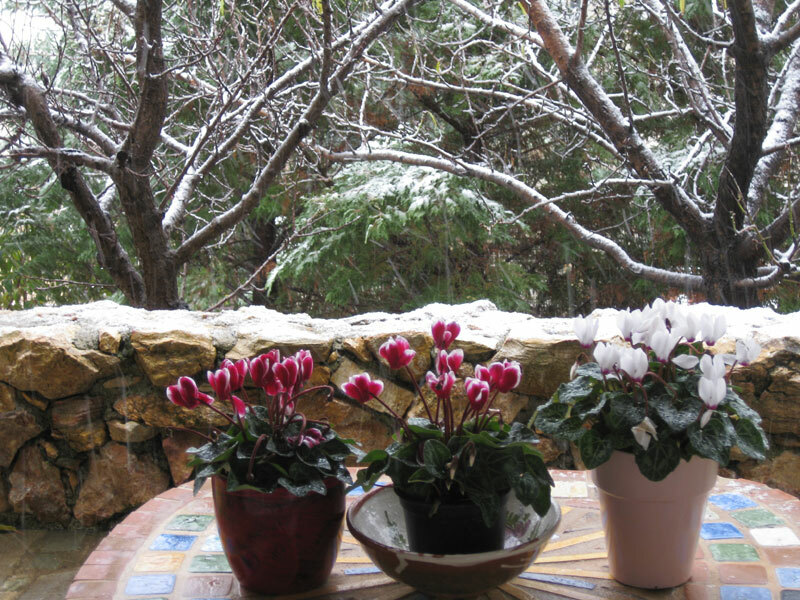 It never occurred to me that you would have snow in Greece. As always Christine, your photography is spellbindingly beautiful! I am glad God granted you a very nice Christmas. 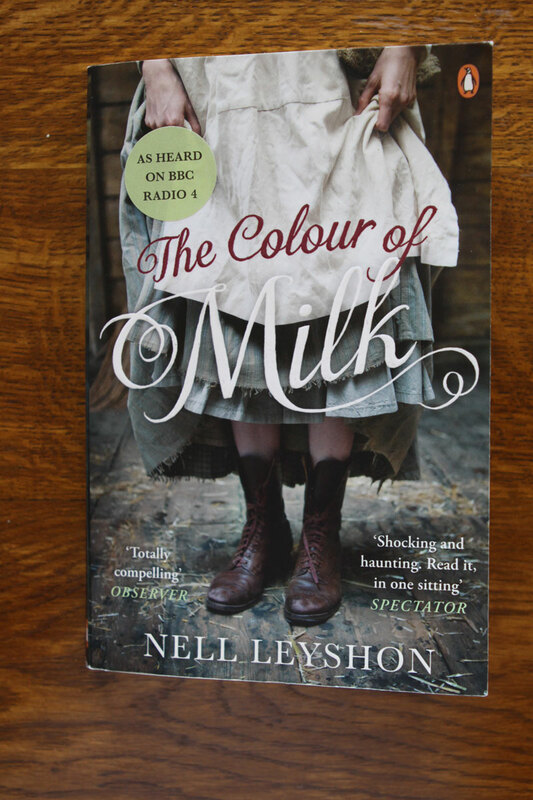 I checked out, The Colour of Milk, at my local library. It is thought provoking, surprising and insightful and tragic in its simplicity. It is a great read. Thanks for the review! You are welcome Lona! Enjoy your reading! What lovely photos. I'm glad you have some quiet time to enjoy after the business of the holidays. Blessings for a wonderful new year.